Aveda Salon Norwalk: What Can You Do If Your Hair is Already Damaged by Chlorine? Your hairstylist will be able to assess the damage and recommend products or treatments. Your hairstylist should give you a haircut to get rid of the most damaged ends. If chlorine has dried out your hair, it is likely that it has damaged your scalp, too. If the problem is severe, ask your hairstylist for products that will replenish moisture and heal your scalp. Chlorine not only dries out your hair, it builds up in your hair and makes it feel worse. Use clarifying shampoo or an apple cider vinegar rinse to get rid of that buildup! Deep condition and protein-treat your hair. Depend on how severe the damage is, you may have to condition it up to twice a week. You also will want to proactively replenish the protein your hair has lost to restore its strength. Your hairstylist will be able to advise you. Your hair will take time to return to its healthy state, but it is worth the effort. In the mean time, you should check out our next blog – we will give tips for making your hair look healthy while it’s recovering. 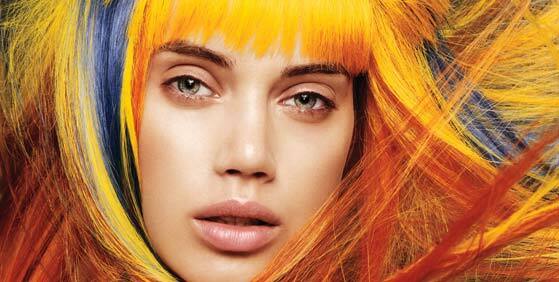 Shear Cuts Inc. is Norwalk’s Top-Rated Local® Aveda Salon, and we are passionate about healthy hair. Make an appointment with us today – your hair will thank you!